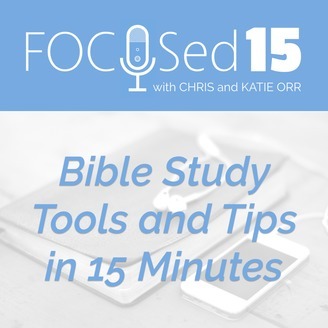 Chris and Katie Orr share encouragement and easy to implement tips for you to experience deeper Bible study in your busy life. Which type of commentary should I use? Though certainly not absolutely necessary for Bible study, having access to commentaries when you are studying a passage of Scripture can be super-helpful. However, if you've been down the commentary aisle at a bookstore, or searched Amazon for one ... it can be pretty overwhelming to know which to chose. We're here to help! Listen in to this 15 minute episode for answers to your question, "Which type of commentary should I use?!" RESOURCES MENTIONED: Links below may include affiliate links. At no additional cost to you, I receive a small portion of your purchase. Thanks! Christ Centered Expositional Commentary series - We love this series! 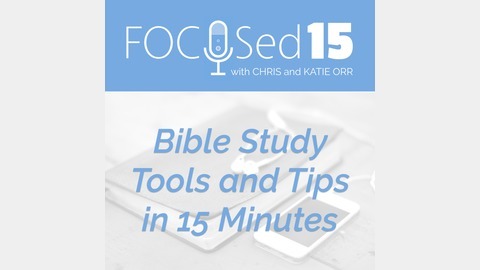 It is geared toward the pastor BUT I (Katie) find it very readable, relatable, and helpful! ESV Study Bible - A great resource for any book of the Bible. Includes all the basic info you would need to know about a book (author, audience, aim) and more.